I am currently staying with my son and family in Artarmon which is on the North Shore area of Sydney. They live just a few train station stops north of Sydney Harbour Bridge. Only last evening we drove over the bridge, something my son and grandson do every week but it is something special for me. I get to do it only once or twice a year. 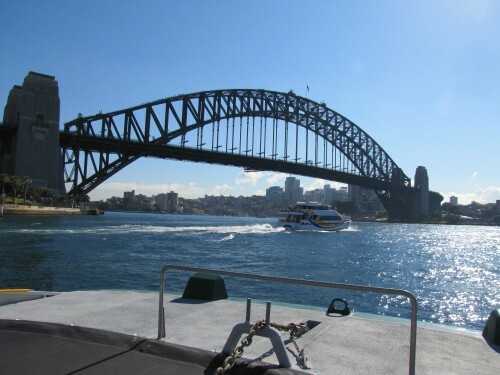 Living in Murray Bridge in South Australia, we only get over to Sydney once or twice annually. Because it is over 1300km to drive, a journey which takes two whole days to complete, we only get over here frequently. My son and his family only come over to South Australia once every second year, mainly due to both work commitments and the restrictions of the school year. While in Artarmon I get few opportunities to go out birding. There are some great birding spots within an hour’s drive or even closer. 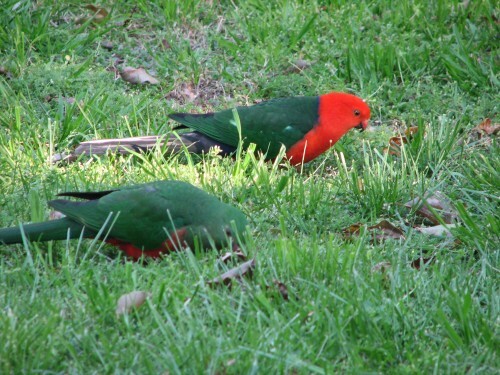 Lane Cove National Park, for example, is only a ten-minute drive away. Getting away from family is quite difficult, especially seeing our visits usually coincide with school holidays. The grandchildren, ages 7 and 4, are very reluctant to let us leave home, and our car is not set up for young children. On the plus side, even at their tender age they have become aware of the birds they see in their garden, as well as any seen while visiting local parks. While we are here the majority of my birding is done from their garden. Fortunately, the neighbourhood has plenty of vegetation, including many large eucalypt trees. 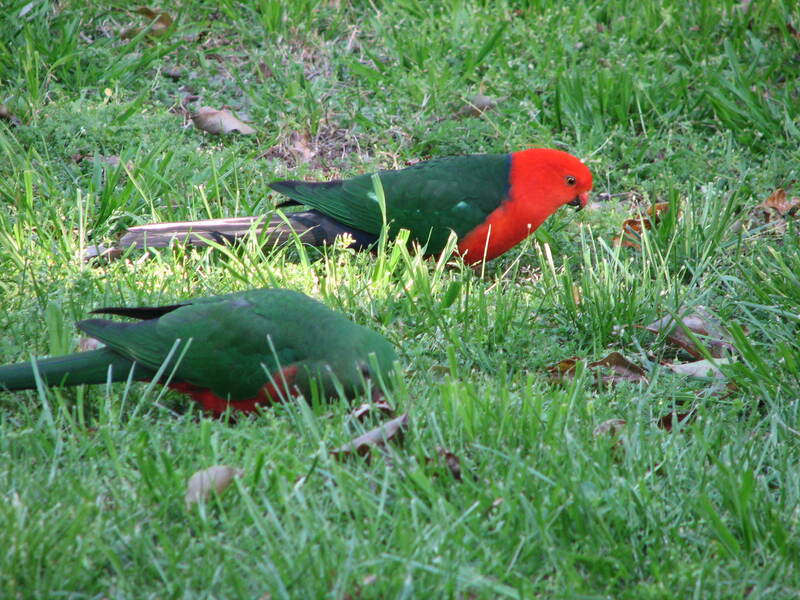 Rainbow Lorikeets: very common, present in large numbers. Australian Ravens: very common, I often see small groups of up to 5 or 6 flying overhead. Pied Currawongs: very common, and very noisy – they call throughout the day. Laughing Kookaburras: more often heard calling than seen. Grey Butcherbirds: common and sometimes very vocal. Noisy Miners: this species is the dominant native honeyeater in this area. Very common in large numbers. Common Myna: an introduced pest species, becoming more dominant as the years go by. Welcome Swallow: common but not seen every day. Crested Pigeons: present in small numbers, rarely more than about 4 or 5 in any one location. Sulphur-crested Cockatoos: often seen or heard flying overhead, sometimes in flocks up to 40 or 50. Rock Doves: not seen regularly in or from the garden, but present in large numbers near the local shops. 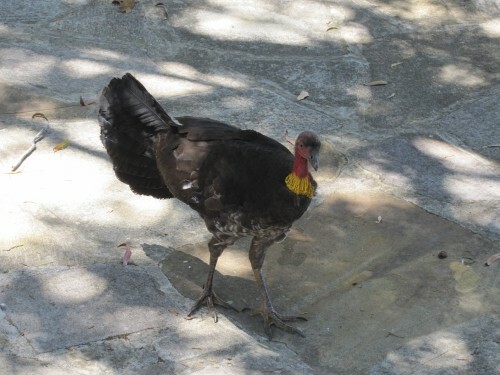 Australian Brush-turkey: I haven’t seen this large bird in or near the garden, but my grandson reports that he often sees one or two in his playground, just under 1km from his home.